"Ours jouant avec ses petits"
Signée "Fratin" sur la terrasse. 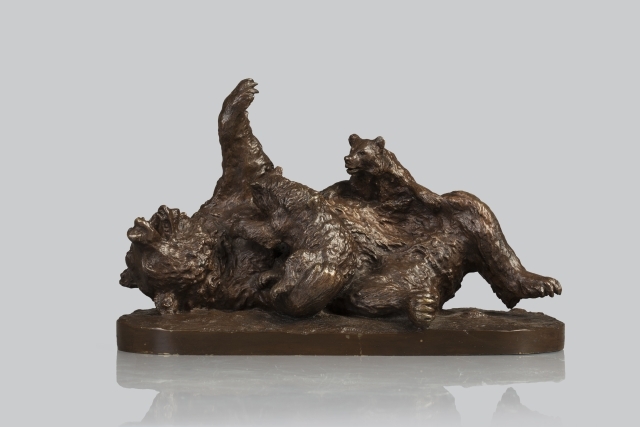 A "Bear playing with cubs" brown patinated bronze sculpture by Christophe Fratin. Signed "Fratin" on the terrace.